Move over, millennials: Generation Z is growing up, and its oldest members are now entering the workplace. Individuals from Gen Z (ages 7-22 in 2019, according to Pew Research) have much in common with millennials—but there are some significant differences, too. The more you understand what makes Gen Z tick, the better positioned you’ll be to hire and retain them. Here are three ways Gen Z will change the workplace in years to come, and what you should do about it. 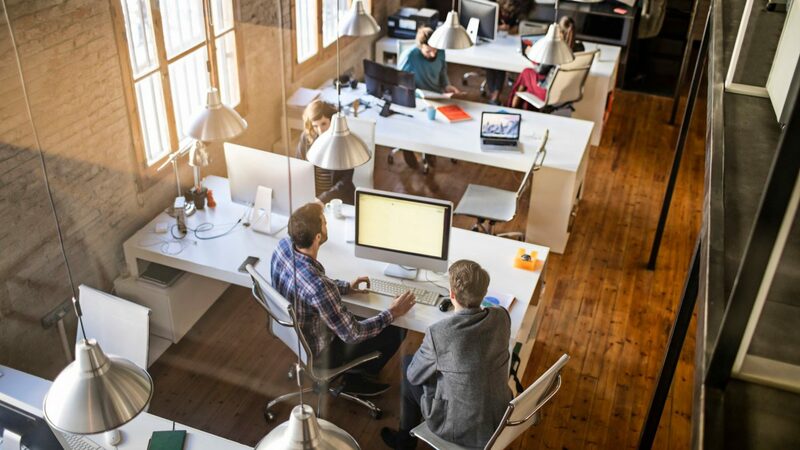 While Gen Z shares many workplace preferences with their millennial counterparts, such as accessible technology, schedule flexibility, and modern office spaces, there are some distinct differences, too. Unlike millennial employees who prefer digital communication such as email and Slack, 53 percent of Gen Z chooses face-to-face communication. Since Gen Z is the first generation of truly digital natives (92 percent of them have a digital footprint), employers may need to get creative to balance their need for personal attention with their digital dependencies. Members of Generation Z have read about the large financial burdens millennials are carrying as a result of student loans and it’s made them money-conscious; only 64 percent are considering an advanced college degree. Because of this, they’ll likely look for alternative forms of education, often via the workplace. A pleasant day-to-day work experience and the overall company culture are high priorities for Gen Z, a fact that potential employers will need to take into consideration. Gen Z’ers actively monitor employee reviews on job-search websites and pay close attention to how companies are ranked. They typically won’t consider working for low-ranking companies or those peppered with negative reviews. Gen Z’ers place high importance on a healthy work-life balance, which strongly influences their overall core values. Career development prospects: Gen Z will be looking for opportunities to attain professional development and improvement. Employers can ensure greater success with Gen Z employees by providing them with internships, classroom-based consulting projects, and other learn-by-doing activities. Meaningful work: They won’t be satisfied with “busy” work; they’ll want to make a difference. In fact, 60 percent want to make a difference in the world. Company culture: This younger generation will seek opportunities to help change company culture and will generally want to be instrumental in the process. Health-conscious: About one in three Gen Z’ers feels stressed about their health and well-being. They’ll want to work for companies that won’t be detrimental to either their health or Earth’s environment. Company core values: They want to feel connected to your organization’s core values. Consider including Gen Z—and all interested employees—if you need to develop company core values. Borrow or modify these core values templates. Generous vacation time: More than half of Americans don’t use up their earned vacation time, but the tide is changing. Gen Z will be taking their vacation days. However, they’ll also be more likely to take work along with them during their allotted time. Remote work options: Gen Z views remote work as the norm, not as a perk like previous generations do. Companies wanting to attract the top talent of this generation will have to keep this in mind as they fill positions. Fun and flexible work environment: Desiring fun and flexibility doesn’t mean Gen Z’ers aren’t serious about work; they love challenges and will strive hard to succeed. Their fun won’t necessarily equate to ping-pong tables, but it could involve gamification and developing ways for colleagues to compete with one another to reach goals. Rewards: Gen Z will be more independent and competitive—and they’ll expect to be rewarded for their hard work. To attract top Gen Z talent, you’ll likely need to make some adaptations to your company culture and physical workspaces. Revitalize recruiting methods: Companies will want to shape themselves as a brand to market to Gen Z talent. Traditional classified ads definitely won’t cut it. Instead, show them you can provide the atmosphere and benefits they seek. Add “smarter” technology elements to the workplace: Since Gen Z values both tech and a healthy lifestyle, consider “smart” tools and devices to enhance the workplace experience. Use smart tech to regulate air quality, control noise, prevent repetitive stress injuries, and provide opportunities for movement and variety during the workday. Offer mentoring: Free mentoring and other development opportunities will appeal to the thrifty nature of Gen Z while satisfying its members’ strong desire to continuously learn. Integrate a heavier use of apps: Many workplaces are now using apps to coordinate schedules, organize meetings, provide task updates, and share other important work-related information. Know your competition: Gen Z is not shy about voicing what your competitors are offering and using it as leverage. Understand what salaries and benefits others are offering so you can be on a level playing field. Going forward, employers will face some challenges as they try to balance the preferences of each working generation in a workforce that still includes many baby boomers and Gen Xers. If your company begins now to make the changes needed to attract these employees, your effort will prove well worth it. Laura Gayle is the founder of BusinessWomanGuide, a resource for women trying to start or grow businesses on their own terms. Laura has written hundreds of articles for major software companies, tech startups, and online retailers on topics ranging from crowdfunding and inventory management to cybersecurity trends and digital marketing innovations.